Without money, hard to buy a saddle. Quality has a cost, and a new saddle to correct quality, even cheap, still expensive for most wallets. - Leather stool good used item. The used stools are a great way to have a good seat for a low price (proportional to the new value of the saddle, and his condition and age). Through the Internet, you can find used saddles for sale. 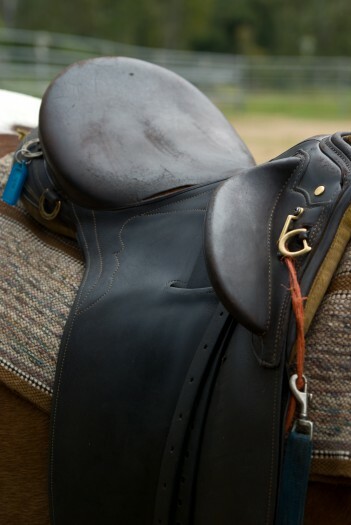 For medium budgets, there are good quality leather saddles "industrial" without consulting the purchase or almost, and obviously without adaptation. There are some brands that can get like that, going in specialized stores. If you are refused the test, or that we offer you a test on pommel horse: go your way. And then there is the saddle of artisans or large saddlers, that is procured directly from them and are expensive in both cases. An artisan saddle will be expensive, but the price will be justified. The materials needed to build a quality saddle cost themselves expensive (at least $ 1,500 of supplies), the know-how for manufacturing it is paid, and it takes at least 20 hours of time to complete fabrication , not counting time spent advisor, analyzing the measures to the bosses, etc. And of course, everything is made by hand or with small machines, in a country where the cost of labor is high, it necessarily suffers on price... If you have a craftsman of this type next to you, enjoy it, it's often nice. Saddles large saddlers are often interesting tools. These tools that are expensive for several reasons: as in the case of the artisan, the materials have a real cost. By cons, in contrast to the craftsman, they overheads, marketing and heavy trade, they often invest in research and development, have large communications campaigns and sponsorship: that's why their rates are exorbitant. You pay a skill and an image!